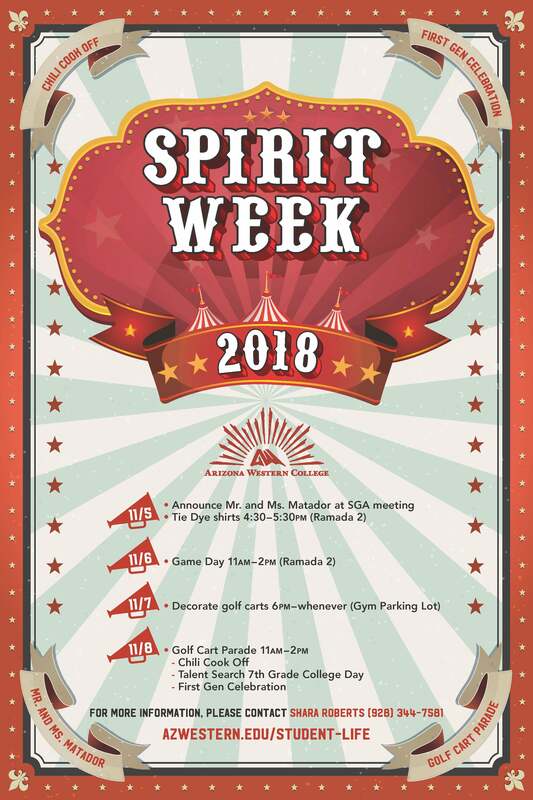 Spirit Week starts November 5th and ends November 10th. Join us at different events throughout the week hosted by our Student Government Association! Monday: 2018 Mr. and Ms. Matador announced!